I am not Impressed by the 2013 NFL Football Uniforms, are you? 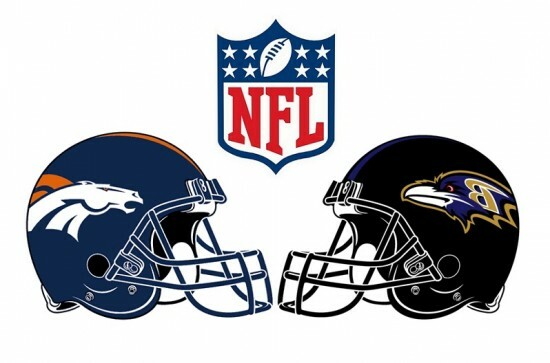 I was and remained excited that the start to the 2013 NFL season has finally arrived. In fact, my two sons and I spent the better part of Sunday soaking in as much live action as we could considering it was a beautiful day here in the northeast. While the player action has not disappointed and the usual dynasty teams are showing their age, all in all the uniforms are coming in as the biggest losers involved in any of the professional competition. What's Wrong With Most NFL Uniforms? I noticed it first with the Thursday night lineup of Denver versus Baltimore. The Broncos' football jerseys looked like something out of a the wardrobe room from "The Longest Yard". I actually think Adam Sandler's jerseys in the remake were nicer than the ones the Broncos wore last Thursday. All of the teams are using the same bland semi-retro look that has the players caught between 1988 and 1994. Where are all the cool sublimated uniforms that the NFL unveiled when they announced a change of suppliers two years ago? Why do all of the college teams use the most advanced design methods, like satin or matte finished helmets, and bold sublimated colors for their uniforms? Does the NFL actually want to have a bolder branding experience for the teams and drive spirit wear sales at retail? I know that my 14 year old son is far more interested in a Maryland football jersey than he is in buying a 1989-looking Steelers uniform. Young players and fans are captivated by the edgy, bold look of the current college sports uniform trends. The NFL needs to embrace this visual edge to add some appeal to their younger audience. The Bronco's uniforms did have a few nice touches, like the small emboidered two-toned edges to the large tackle twill numbers accross the back, as well as the accent contrasting color trims around the neck; but that does not do enough to overcome the overall "blah" look and feel of the current NFL uniform offering. So as the season continues and the throwback days arrive, and other special games nominated for sheer self promotion; let's hope that the NFL has some more appealing uniform designs up their sleeve.